Synopsis (from Goodreads): A good book allows us to become part of the story within its pages, leaves us wishing we didn’t have to say good-bye to its characters and makes us better in one way or another for having read it. “All My Love, George” is a good book. Technician Third Grade, George Burks was a medic who served and gave his life in the South Pacific during World War II. The book chronicles his three year journey from boot camp to just days prior to his death through the letters he wrote home to his family. These letters are interspersed with the thoughts and reminiscence of his younger brother-sixty-five years after George’s death. The book will move readers to grieve a family’s loss as if it were their own, put them in the midst of one of the greatest periods of history in our nation, and foster a sense of pride in this young soldier who selflessly gave his all for the life we enjoy today. The man George was-genuine, thoughtful, sincere, valiant, and a real-life hero is evident in both the letters and the tender, yet proud words of his brother-a man whose teen years were overshadowed by his loss of a much-loved and admired older brother. Darla Noble is a native of mid-Missouri where she lives with her husband of thirty-three years, John. 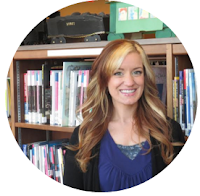 Darla’s love of writing began in the fourth grade; after meeting up and coming children's author, Judy Blume, who, by the way, autographed her copy of "Are you there, God...it's me, Margaret". 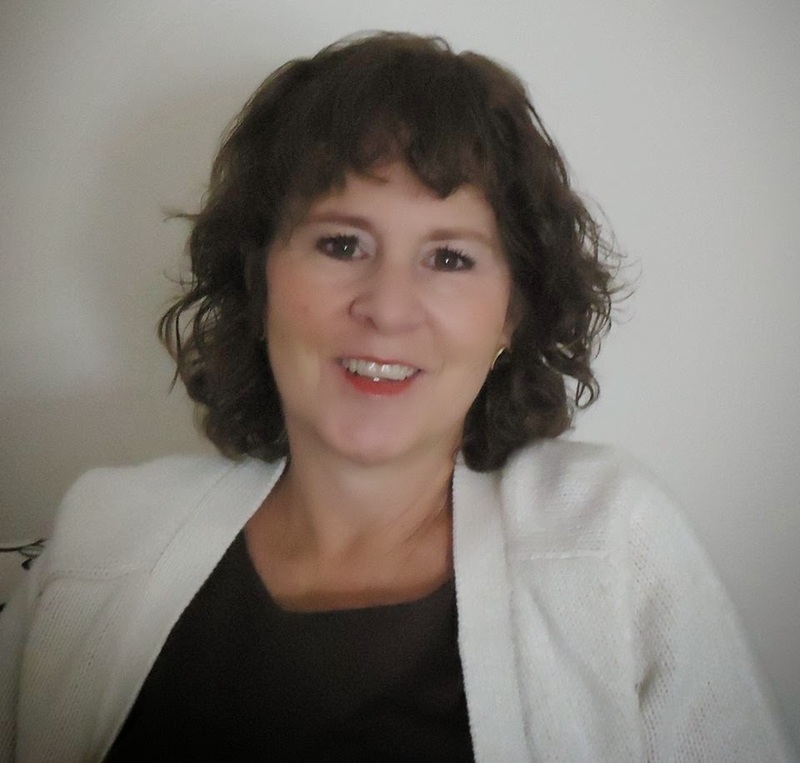 Darla's love for writing and family makes her work sought after in the Christian market, parenting and family resources and ghostwriting for educators and inspirational speakers. But now it is time for Darla to begin telling her own stories. “All my love, George” is sure to make Darla Noble one of your favorite non-fiction writers. Another local author for ya, friends! I had the pleasure of stumbling upon Darla at my local library where she was doing a book signing. These are my favorite encounters. Every time fate so has it that I meet a local author in the most random of ways, I feel like I have discovered a treasure. Darla has been no exception. 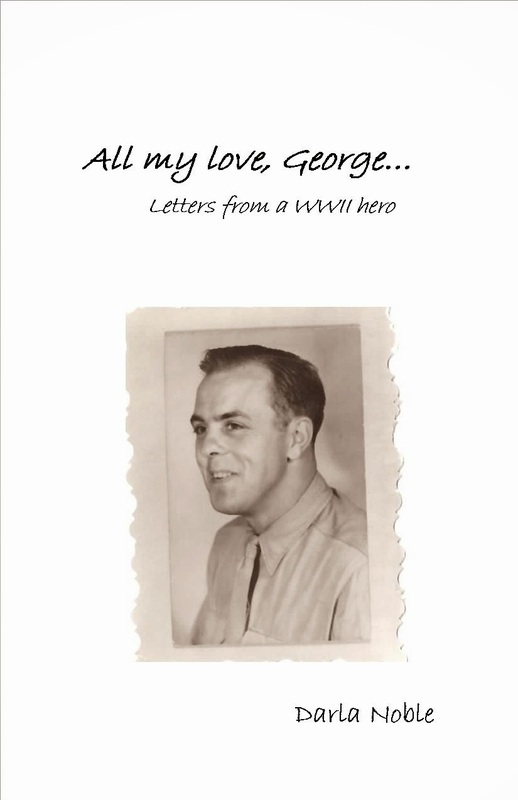 In her book All my love, George, Darla has created a memoir of collected letters from her Uncle George while he was fighting in WWII. These letters are spread through a series of recollections her father provided as he delved deep into his memory and retrieved the events, feelings, and circumstances surrounding this experience. She also included official letters of condolence after George's death, and tidbits that provided a timeline of events regarding the war. Between Darla and her father, we were able to step into the soldier's world and become part of the family, laughing and grieving right along with them. If you've ever had a loved one in the service, then you should be able to connect with Darla's book instantly. If you've lost a loved one, whether in the service or have simply experienced the stages of grief involved with losing someone close to you, then you will also find companionship within the pages of this book. If neither of these scenarios apply to you, then perhaps it can serve as a perspective that will provide you with a newfound appreciation for those serving our country, and especially those who have lost their lives defending it. The text and history can make you richer in many ways, if you allow it. I enjoyed journeying through All my love, George. It was endearing and heartfelt. I have had one of my best friends serve in the army, and just over a year ago I lost another friend to the war over in Afghanistan. I connected in a lot of ways with this book, and I found solace in the journey and grief that this family experienced. I understood them. I also found George's relationship with them and his ability to stand firm and optimistic through his trials heartwarming. These are the things I enjoyed about the book. The only major issue I had was an unfortunate common pitfall for self-published arbiters of literature: format and proofreading. I caught a few grammatical errors throughout that could've been avoided and I'm sure were overlooked. There was also some formatting that either could've been better organized, or was difficult to read. The timeline was generally clear, but there were certain areas I felt like I was being pulled back and forth through time. It may have been more effective if we had been provided the foreword, and then built up to the moment the family received news of George's heroic death. I think beginning with the climax of the story might do a slight disservice to the book. Just a thought!